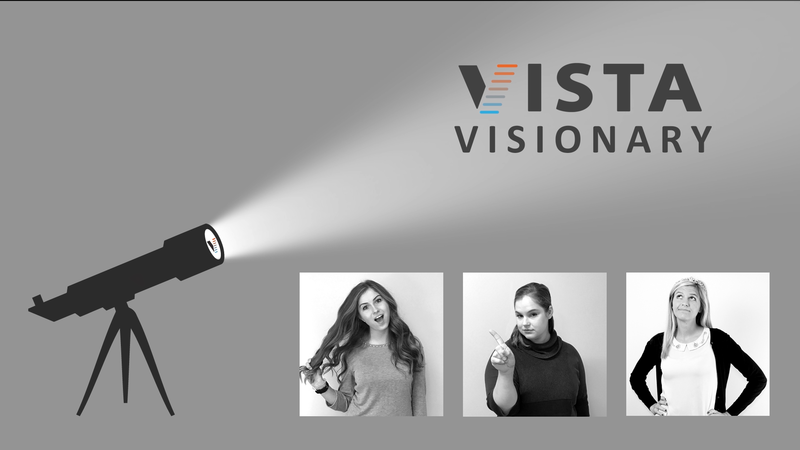 The Visionary is appointed by Vista each month as recognition for seeing a need in the organization and taking initiative to satisfy it without being prompted. This team member goes above and beyond their daily responsibilities and does so with an outstanding attitude. This month Ashley Adair, one of our receiving specialists was nominated by two of our Product Managers, Jesse Budrick and Melissa Scheidel. Find out why Nimble Storage was named storage product of the year for all-flash & hybrid SAN arrays. Join us for a short webinar to learn how Nimble Storage Arrays and HPE InfoSight can reduce risk with a comprehensive approach to data integrity. We will deliver a Nimble Storage overview, dive into both Adaptive Flash (HF) and All Flash (AF) architectures, and discuss closing the "App-Data Gap" with HPE InfoSight's Predictive Analytics. Vista IT Group has been selected by the State of Michigan to be among a handful of companies to receive a grant from the Going PRO Talent Fund. 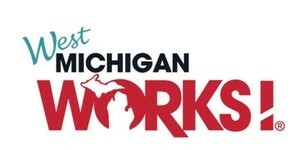 Presented by West Michigan Works!, this grant is awarded to Michigan based growth-oriented companies who continuously invest in the training and development of their employees. Vista was among 200 companies awarded the Going PRO grant from West Michigan’s seven-county region. vi·sion·ar·y· noun · (from Latin “one who sees”) someone who is able to imagine how a thing should be and strives to make it so. 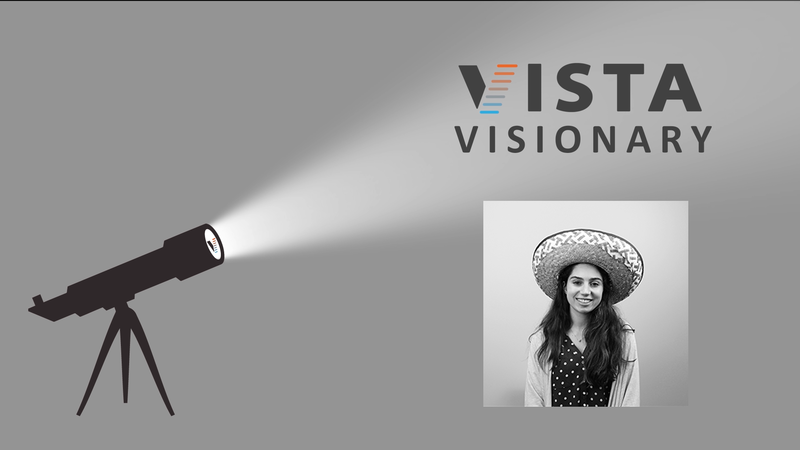 The Visionary is appointed by Vista each month as recognition for seeing a need in the organization and taking initiative to satisfy it without being prompted. This team member goes above and beyond their daily responsibilities and does so with an outstanding attitude. Typically, it’s an individual, but this month Jeff Stevens, our president, nominated the entire marketing department: Staci Bryant, Ashley DeBoer, and Jenna Olm. 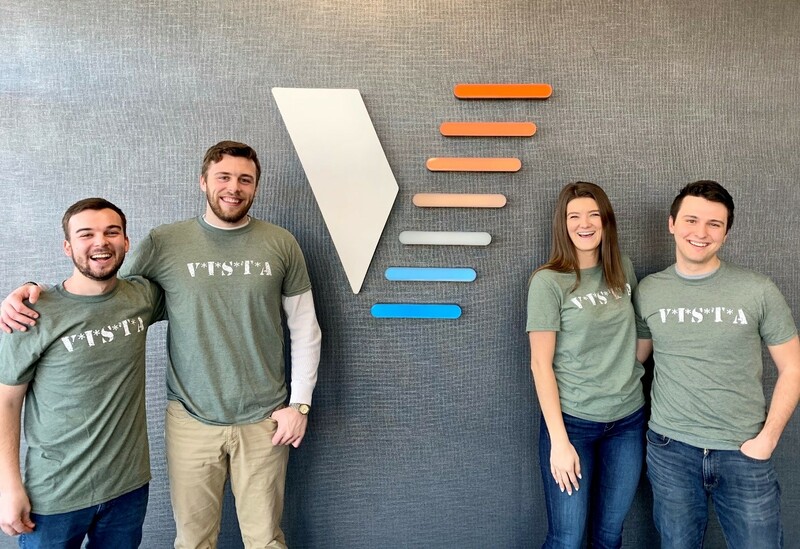 We are happy to announce the addition of Rogan McEvoy, Trevor Spees, and Shelby Webster to the rapidly growing Vista IT Group team. 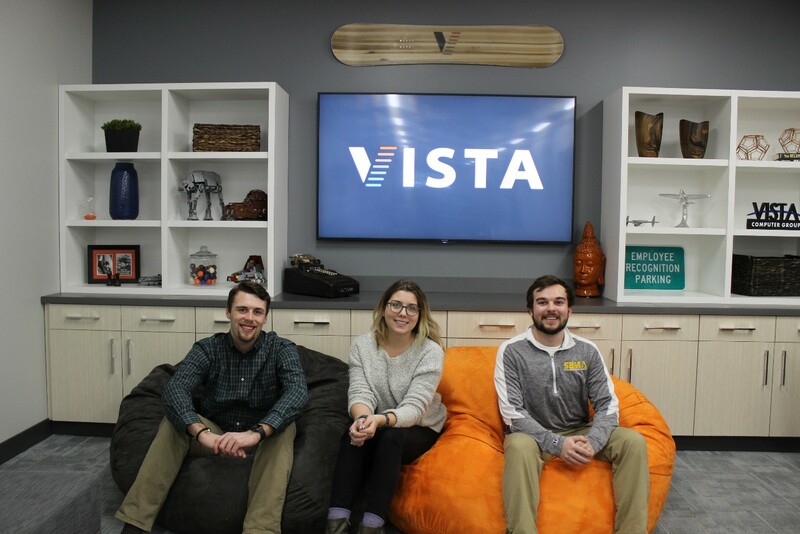 Rogan and Trevor were previously with Vista as summer Sales Interns. They both returned after graduation as full time Account Managers where they will be helping our customers move Beyond IT through our core competencies in Data Center, Supply Chain and Technology Services. Learn why Nutanix is a leader in Gartner’s Magic Quadrant for Hyperconverged Infrastructure! Join us for a short webinar where we will discuss how the Nutanix hyperconverged infrastructure brings newfound simplicity and operational efficiency to your data center. We will also review reference architectures and pricing so that you can see what Nutanix on HPE ProLiant and Dell PowerEdge really looks like next too the stand-alone Nutanix appliance. 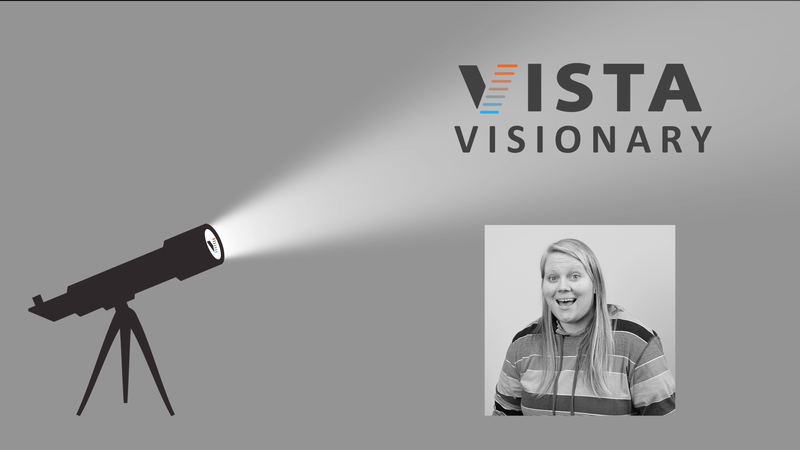 We are happy to announce the addition of Clay Reigler and Cassie Marshall to the ever-expanding Vista IT Group team! Clay and Cassie join us as Account Managers where they will be helping customers with their infrastructure and technology needs. 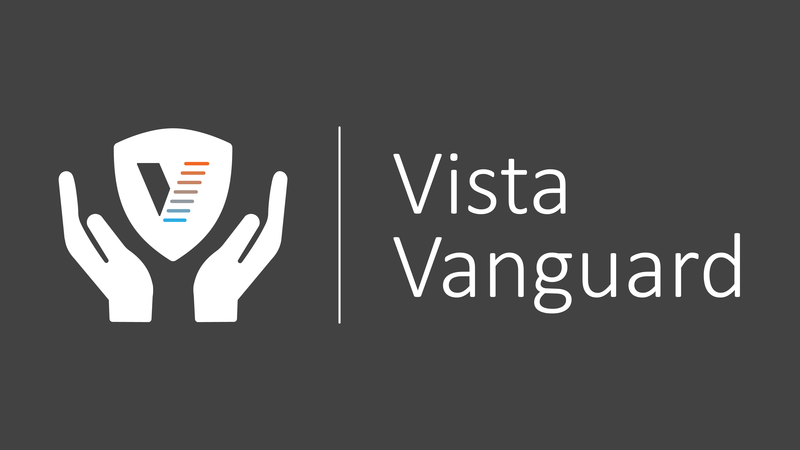 Today, Vista IT Group announced Vanguard, a customizable service program featuring an a la’ carte approach to hardware maintenance and operational support. This new nationwide offering allows companies to consolidate data center support regardless of the equipment manufacturer, age, or origin.